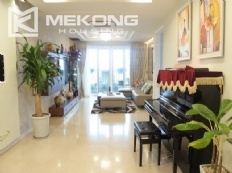 This modern 145m2 apartment located on middle floor of a 20 story P building, Ciputra Hanoi. It is composed of 3 bedrooms, 2 bathrooms, a spacious living room and kitchen. The location provides easy access to airport and other areas in Hanoi city. We would be happy to help you to find your suitable apartment. 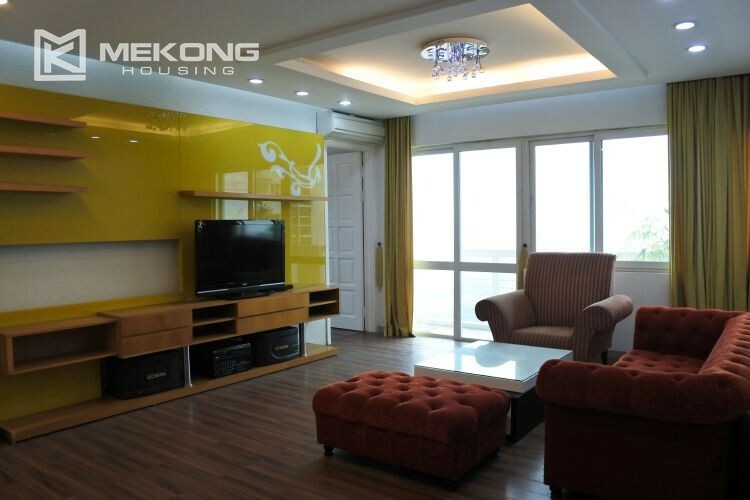 Beautiful 153m2 apartment is located on the 15th floor of a 20 story building in Ciputra Hanoi. It comprises of 4 bedrooms, 2 bathrooms, a spacious living room and a well equipped kitchen. The location is very convenient, easy access to Noi Bai airport and other areas in Hanoi city. It is fully furnished with modern furniture. Fully furnished with high quality furniture and equipment, all in good condition. Ciputra Hanoi offer such an excellent variety of public facilities to residents as swimming pool, gym, eco path for walking and riding bicycle, golf course, 4 season swimming pool, mini mart, ..... The location provides easy access to Noi Bai airport, Hanoi downtown, and industrial parks. This is a nice 4 bedroom apartment located on high floor of E1 tower with an impressive view of Ciputra landscape. It is composed of 4 bedrooms, 2 bathrooms, one living room, and an open kitchen. It is fully equipped and furnished with modern furniture. The rental apartment is located on a high floor in G3 tower, having a nice view of Ciputra landscape. It has a spacious living room that comes with a big balocy, an open dining area next to a kitchen. The 3 spacious bedrooms are fully furnished with cozy feel. This rental apartment features nice ceiling decoration, well equipped kitchen with convenient cupboards, modern bathroom with both walk-in shower, and modern design. It is very bright and airy indoor. Modern and bright apartment for rent with 3 bedrooms on middle floor in P2 tower, Ciputra Hanoi. 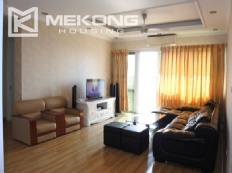 Total living area is 145 sqm, composed of 3 bedrooms, 2 bathrooms, a nice living room and a separate kitchen. It is fully furnished with modern furniture and equipment. he rental apartment is located on a high floor in L2 tower, having a nice view of Ciputra landscape. It has a spacious living room that comes with a big balocy, a dining area next to an open kitchen. The apartment is fully furnished with cozy feel. Modern furnished apartment for rent with 3 bedrooms on middle floor in L2 tower, Ciputra Hanoi. Total living area is 114 sqm, composed of 3 bedrooms, 2 bathrooms, a nice living room and a separate kitchen. It is fully furnished with modern furniture and equipment. 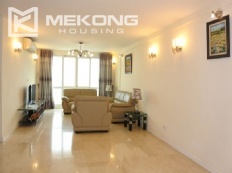 Nicely furnished apartment with 3 bedroom on high floor for rent in l2 building, Ciputra Hanoi. Total living area is 114 sqm, composed of 3 bedrooms, 2 bathrooms, a nice living room and a separate kitchen. It is fully furnished with modern furniture and equipment. Rental apartment is located on high floor of the building with great view. 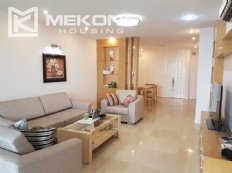 Total living area is 153 sqm, composed of 3 bedrooms, 2 bathrooms with bathtub and walk-in shower, a nice living room combined with dinning area and a separate kitchen. The apartment is fully furnished such as sofa set, TV, bed, mattress, wardrobe, clean and bright with glass windows.